Coláiste Mhuirlinne/ Merlin College, Doughiska, has announced the details of its transition year programme which begins in the school for the first time in September 2016. The school has also announced the appointment of John David Kearney as TY co-ordinator at Merlin College; Mr Kearney has also just recently been given the role as Galway U21 hurling coach. Mr Kearney who teaches PE at Merlin College, has been instrumental in the success of the school’s athletics club and Gaelic football teams, along with being very well known throughout the county for his involvement in hurling at senior club level. His enthusiasm and expertise in physical health is evident in the TY programme that he has developed with a significant emphasis being given to fitness, wellbeing, and a module on health and nutrition. TY is a mandatory part of school life in Merlin College, allowing for the continued development and growth of students which is reflected in recent ESRI research that shows very positive outcomes for students who engage in TY, including attaining higher points in their Leaving Certificate and progression to third level. 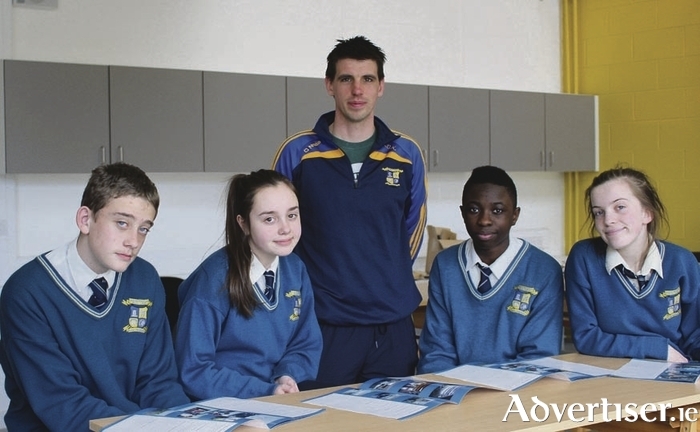 The core subjects of English, Irish, and maths along with chemistry, physics, biology, business studies/accountancy, Spanish or French, cultural studies, computer programming, and technical subjects such as DCG will form the main structure of the course. Coláiste Mhuirlinne/ Merlin College wishes Mr Kearney the very best of luck both with TY and the Galway U21 team. What are the benefits of public speaking for adults? Are you unemployed, wish to upskill or retrain for a new career?